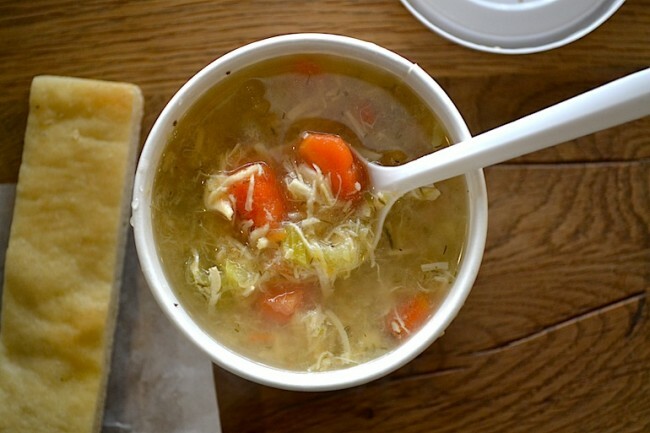 Campus has never tasted so soup-er. Gia Pronto: Order Gia’s classic chicken noodle soup. It’s tasty with a creamy feel, packed with lots of veggies, and full of chicken. (If you’re a vegetarian like me, the 10 vegetable soup is equally as good with plenty of hearty vegetables). Added bonus: all Gia soups come with their fantastic multigrain roll. 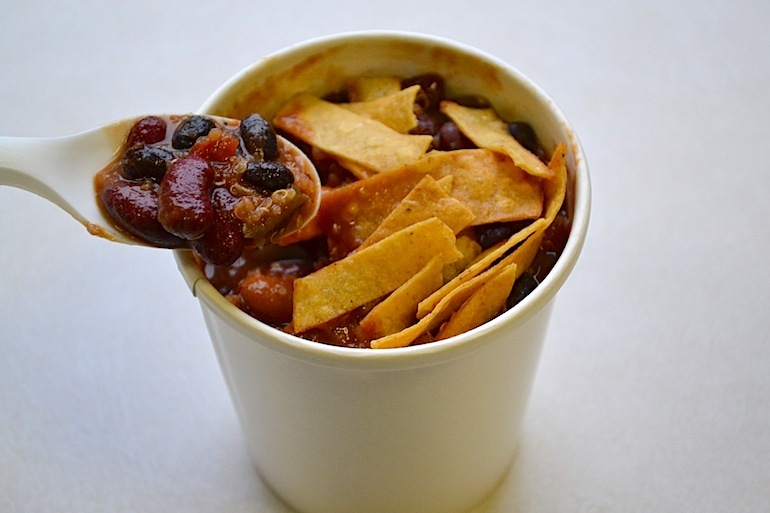 Hip City Veg: Get Hip City’s hearty quinoa chili. It’s a thick bean and tomato based soup filled with plenty of vegetables. The quinoa makes the chili more filling and contrasts the somewhat spicy taste of the soup. Add the tortilla chips for an extra crunch. And if you’re feeling lazy and sick, Hip City delivers. 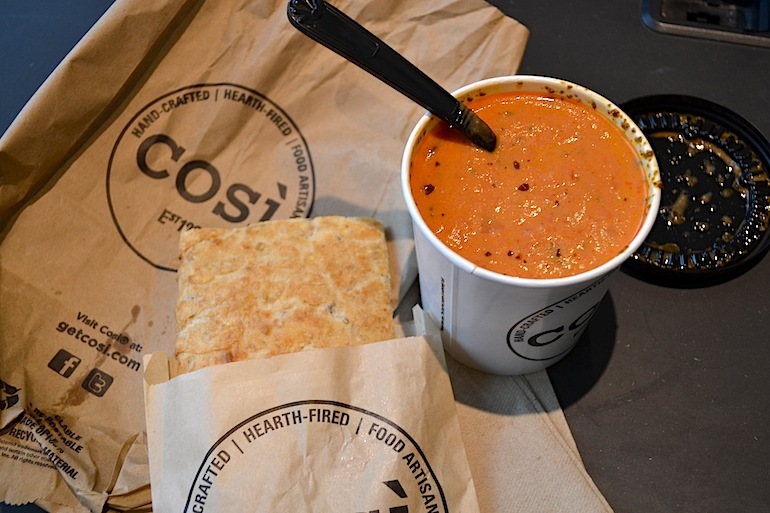 Cosi: Cosi’s famous tomato soup is a sweet and creamy delight. Small scattered chunks of tomatoes add a little texture to the otherwise smooth pink soup. Be sure to dip their multigrain flatbread into it. Mizu: The miso soup at Mizu is your classic Japanese soup. It is light but not too light and seasoned to perfection. Mizu delivers speedily, so the soup is perfect for when you’re sick and want something hot and soothing. Capogiro: The split pea soup at Capo isn’t always available, but when it is, its the perfect stomach-warming meal. It is hearty and filling without being unhealthy and cream-based. Magic Carpet: In the winter, everyone lines up to get some of Magic Carpet’s veggie chili. It is thick and full of vegetables. Ask for cheese (and hot sauce if you like it spicy).